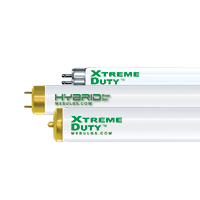 MEBULBS's XTREME DUTY™ HYBRID Fluorescent Lamps have a 15 year guarantee! Our fluorescents are just like working under natural sunlight. With Full Spectrum color, our Xtrabrite lamps are the brightest, whitest lamps in the industry. MEBULBS's Xtreme Duty L.E.D. Lamps use cutting-edge hi-output LEDs, which save up to 85% energy. 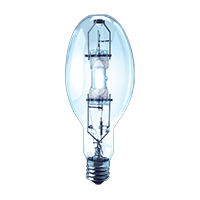 MEBULBS offers these LED lamps in the Vitalux Xtrabrite™ color. 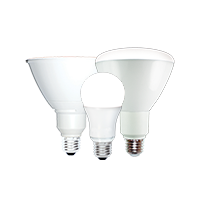 These lamps are whiter & brighter, and instant-on full brightness, when compared to standard LED lamps. Our LED lamps are also mercury free, and have no UV output. MEBULBS's Premira LED lamps have a detailed design & construction, which ensures a premium quality, long lasting lamp. 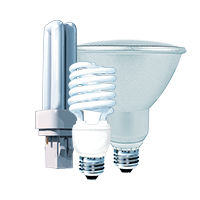 MEBULBS's Lumi-Twist, compact fluorescent lamps premium quality construction includes a balanced spectrum by using rare earth phosphors, these special phospors improve color rendition and light output. Rare Earth Extended Life Phosphors stay brighter longer, and have minimal color shift over their lifetime. MEBULBS's Multi-Watt Halogen Reflector lamps are guaranteed to last 15 months and are up to 32% brighter than the standard halogen reflector lamp! 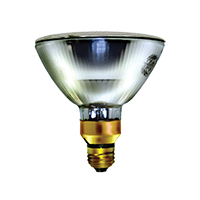 MEBULBS's Tungsten Halogen reflector lamps are made with premium quality construction. The smooth even beam eliminates starbursts and hot spots. The hard glass resists weather conditions. MEBULBS Multi-Mirror technology projects light where it is needed. Our premium quality metal halide lamps are guaranteed to last 50 months. M.E. MH lamps have pyrex envelopes, which are designed to resist thermal shock. Special fill gases are a unique blend of Sodium, Scandium, Thorium Iodide, Mercury, and Argon. The precision blending results in better lumen maintenance and minimal color shift. Quartz arc tubes are manufactured to withstand the high pressures and temperatures of operation, and their ceramic ends are designed to control temperature. All these features make it easy to see why MEBULBSs metal halide lamps are guaranteed for 50 months. Premira Electronic Ballasts construction is the leading ballast in the industry. The small lightweight design is up to 44% lighter than average magnetic ballasts. 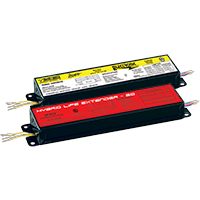 Our electronic ballasts have a low THD, less than 10% Total Harmonic Distortion. MEBULBS uses lab tested 50-year components that maximize lamp life, by staying in spec. MEBULBS's premium quality ballasts are designed for a long life. These ballasts use rivet style soldering, which is vibration resistant, and ensures excellent electrical connections. Now that is a premium quality ballast.